You can hear an audio version of this blog with Harold Budd’s music. When Daniel Lanois, the producer of U2, Bob Dylan and Peter Gabriel first heard Harold Budd, he hadn’t yet met him. Daniel Lanois: For The Plateax of Mirror , I never even met him (laughter), cause he did recordings, like two track piano recordings. Some with Brian [Eno]. Some on his own. And then Brian would take these tapes and come up to Canada and we would proceed to treat them, manipulate them, and transform them the best we could. And all I ever knew about Harold was the little bit of talking that he would do preceding takes. And I always imagined this big, burley American with a strong voice. Cause he talks like, “Well Brian, I think I’ll do another one now.” And sort of like a radio announcer from the 50’s, you know talks like this and plays bongos by night. So (laughter) I had this image of a very strange, big Paul Bunyan guy who played like feathers on the piano. Harold Budd: I will tell you at the time to use the word pretty music was kind of a political statement. It was against the received wisdom of what avant guard music was at the time which was confrontational and purposely without….ugly is what I call it. I just wanted candy. I was not expressing my inner being. I was just not doing anything except trying to make it as devastatingly pretty as I possibly could. He’s done that on a series of albums, including The White Arcades, The Room and Lovely Thunder. Harold Budd takes an unassuming, intuitive approach to a music that’s about the space between the notes. Sitting at a piano in a studio, he plays a chord. Harold Budd: If I play a chord, let’s say this one. [Plays] Okay you have this sort of unstable thing happening down here and I let that have a life of it’s own and where does it got from there [plays] Perfectly nice sound on it’s own. Has no relationship to the one before it and my job as a performer is to make sure they occur at the right time. I’ve been in many of Harold Budd’s homes over the last 25 years, but I only saw a piano once, covered with books and papers. Harold Budd: The piano is aesthetically awful. It is an ugly thing. Form follows function perfectly and it is just awful. Yet he plays it so beautifully. 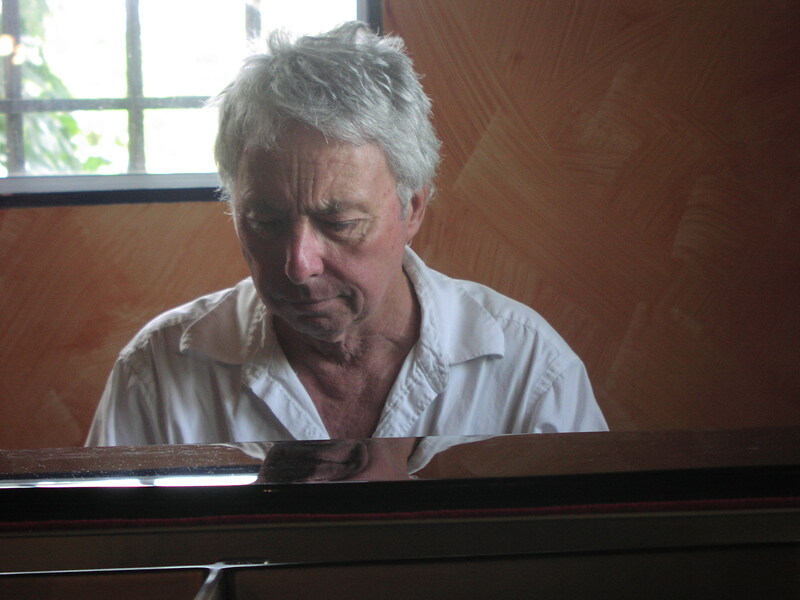 In the new millennium, Harold Budd, now aged 73, continues composing. He’s released recent collaborations with Robin Guthrie and Clive Wright, and authored a few solo piano albums, most recently, a download release called Perhaps. Harold Budd will be playing solo piano live on Echoes on Tuesday, December 15. This has been an Echo Location, Soundings for New Music. This entry was posted on December 10, 2009 at 7:46 pm and is filed under Reviews & Commentary. You can follow any responses to this entry through the RSS 2.0 feed. You can leave a response, or trackback from your own site.